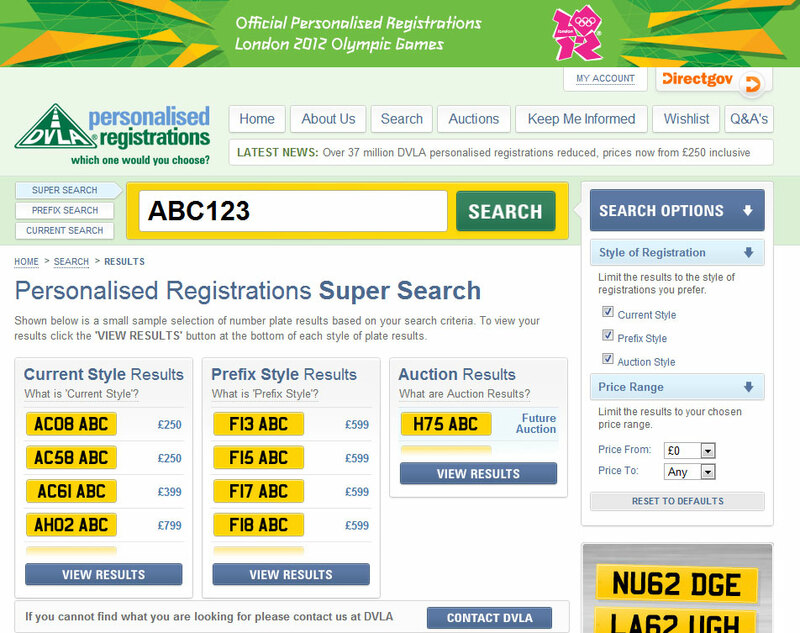 The DVLA is the source of the vast majority of number plates, having a pool of over 30 million plates to draw from. Prices from the DVLA start from £250 and can reach several thousands of pounds for the more premium marks. It is a good baseline to help establish a value as number plate dealers often buy their plates directly from the DVLA and will add their premium to the DVLA price. Remember that the price on the DVLA website is inclusive of VAT and the £80 transfer fee  be careful when comparing this to dealer websites as their prices often do not include the VAT and transfer fee, and often add in a small fee for a set of acrylic plates (which you may or may not need). You can however benefit from the dealer handling all paperwork for you and providing a reminder service for any retention renewals. Just in case you were wondering if and why there's a difference between the DVLA price and the dealer price. Also note that the DVLA do not sell Suffix or Dateless Style plates, so any of these styles of plates will be from existing dealer stock or from the DVLA auctions which occur roughly six times a year. For ABC 123 there's nothing directly comparable here. 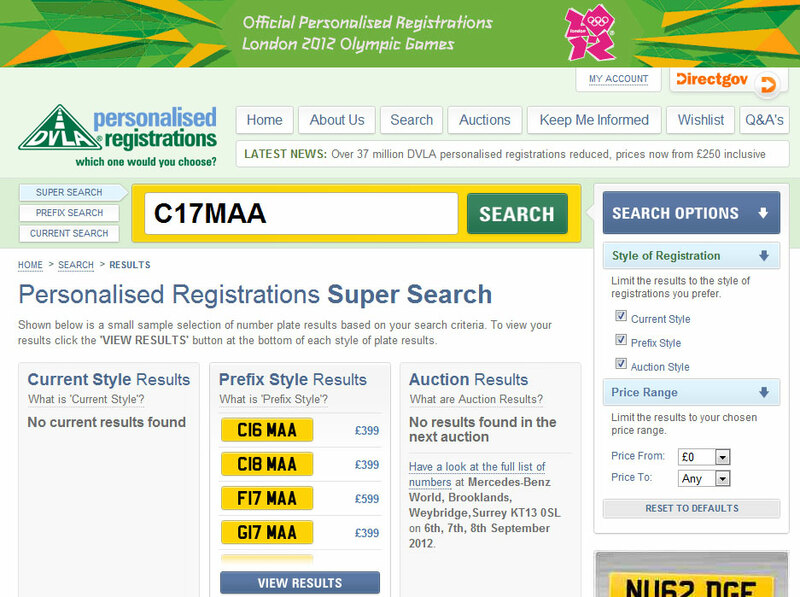 For C17 MAA again we can see that the closest plate available is either C16 MAA or C18 MAA. This shows the same result set as the dealer search. The price is however slightly lower at £399. You have a little competition here. If someone isn't too fussy about the numbers in C***MAA then you might have to price the plate slightly lower than C16 MAA and C18 MAA to attract a buyer  perhaps £389? Otherwise you could hold fast and hope that they want the C17 variant. If you have time to play with then I would be tempted to see if anyone comes forward with an offer at a higher price, and if not after a few months, drop the price accordingly.